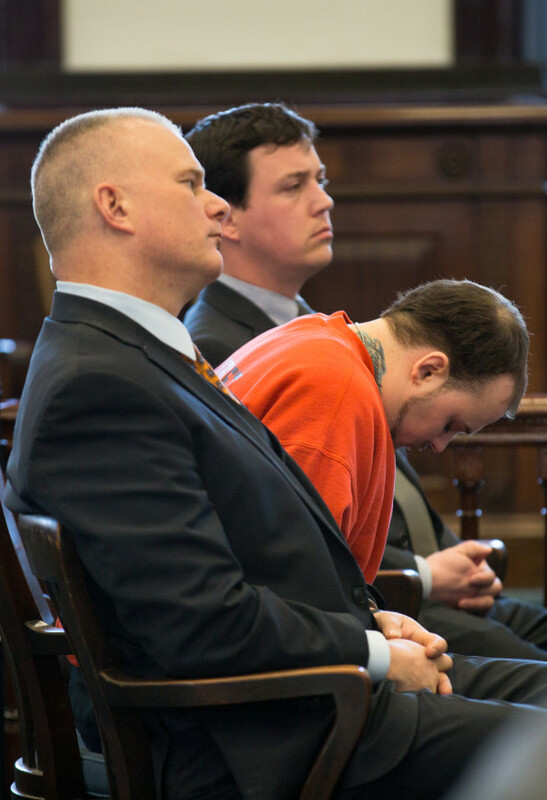 Jason Cote, 25, sits between his two defense attorneys Stephen Smith (front) and Caleb Gannon, both of Augusta, while listening to the judge talk about his sentencing on Friday in in Somerset County Superior Court. Cote was sentenced to 45 years in prison for the murder of Ricky Cole, 47, of Detroit on July 18, 2013, over drugs. 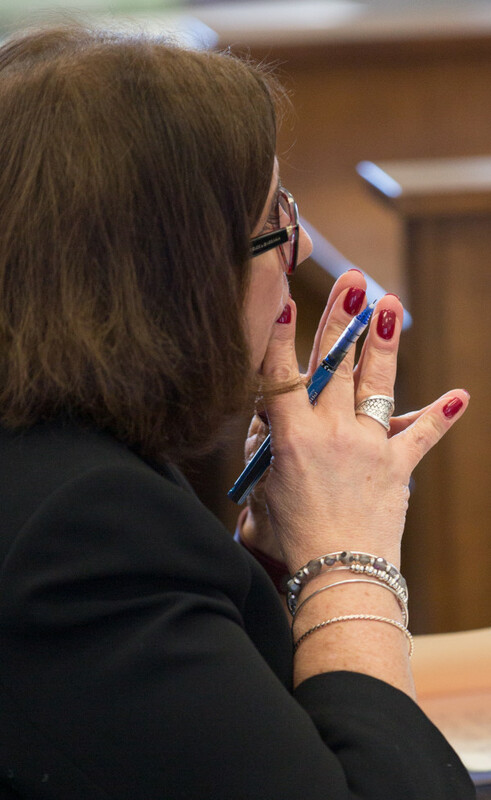 Assistant Attorney General Leane Zainea pushes her fingertips together while listening the the sentencing explanation of Jason Cote. Cote, 25, was sentenced to 45 years in prison for the murder of Ricky Cole, 47, of Detroit on July 18, 2013, over drugs. 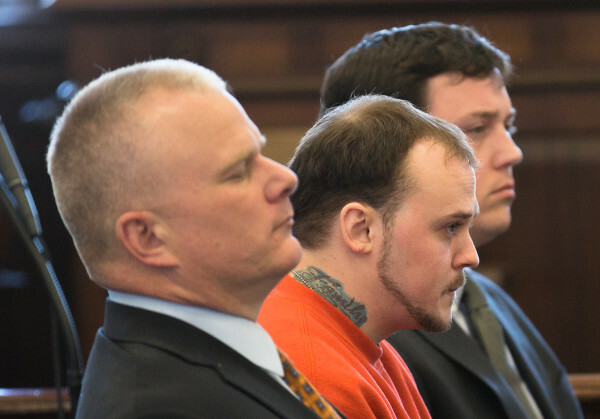 Jason Cote, 25, hangs his head between his two defense attorneys Stephen Smith (front) and Caleb Gannon, both of Augusta, while listening to the judge talk about his sentencing on Friday in in Somerset County Superior Court. Cote was sentenced to 45 years in prison for the murder of Ricky Cole, 47, of Detroit on July 18, 2013, over drugs. Superior Court Justice Andrew Horton considers the value of remorse from Jason Cote, 25, during his sentencing hearing in Somerset County Superior Court on Friday. Cote was sentenced to 45 years in prison for the murder of Ricky Cole, 47, of Detroit on July 18, 2013, over drugs. Jason Cote, 25, was sentenced to 45 years in prison for the murder of Ricky Cole, 47, of Detroit on July 18, 2013, over drugs, in Somerset County Superior Court on Friday. 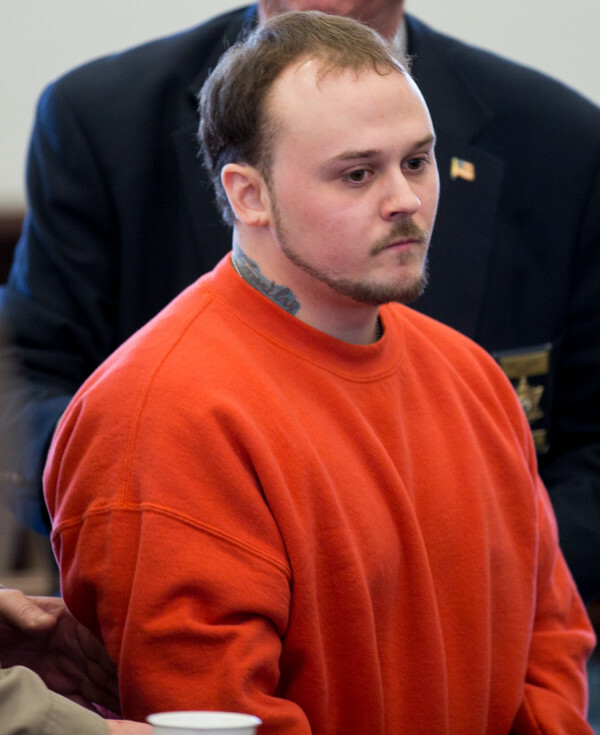 SKOWHEGAN, Maine — A Palmyra man was sentenced Friday in Skowhegan Superior Court to 45 years in prison for murder in the beating death of a Detroit man more than two years ago over drugs. A Somerset County jury found in December that Jason Cote, 25, killed Ricky Cole, 47, of Detroit on July 17, 2013. Cote, who testified at his trial, claimed he acted in self-defense, but expressed remorse Friday and apologized to members of Cole’s family who filled the courtroom. Cote said that he is not the same man he was three years ago. Cole’s friends and family asked that Cote spend the rest of his life in prison. Many of Cote’s relatives said he was supportive and helpful. Cole died of multiple blunt-force impact traumas and extensive blood loss, according to a previously published report. 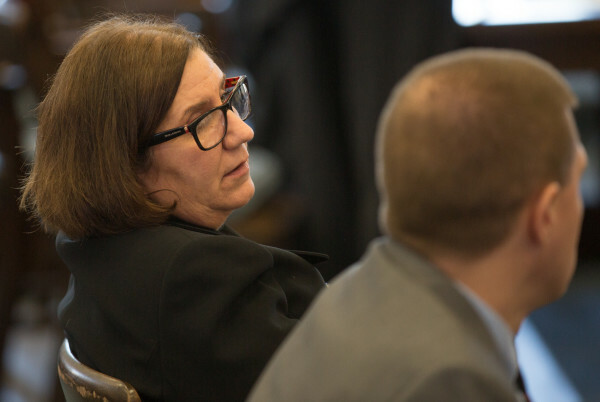 Maine state chief medical examiner Dr. Mark Flomenbaum “observed deep internal injuries, including a fractured skull,” the affidavit said. Horton concluded that Cote went to Cole’s home to obtain illegal prescription drugs. Cole refused to give them to him because Cote owed him money, which led to an altercation, the judge concluded. “Mr. Cote’s actions went way, way beyond what’s justified in self-defense,” Horton said of Cote beating Cole with a lead pipe, then stomping on his head. Assistant Attorney General Leane Zainea recommended Cote be incarcerated for 50 years. Defense attorney Stephen Smith of Augusta urged Horton to send his client to prison for 30 years, five years more than the mandatory minimum. 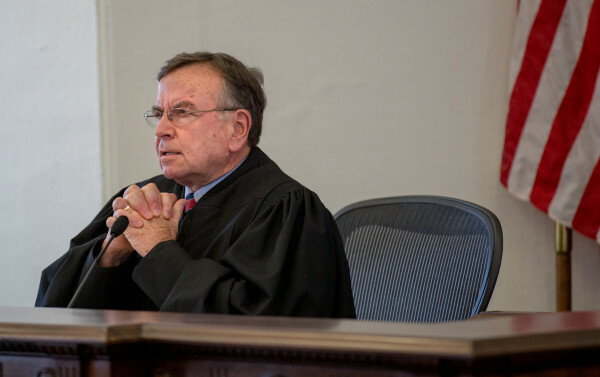 Smith has said the verdict would be appealed to the Maine Supreme Judicial Court.